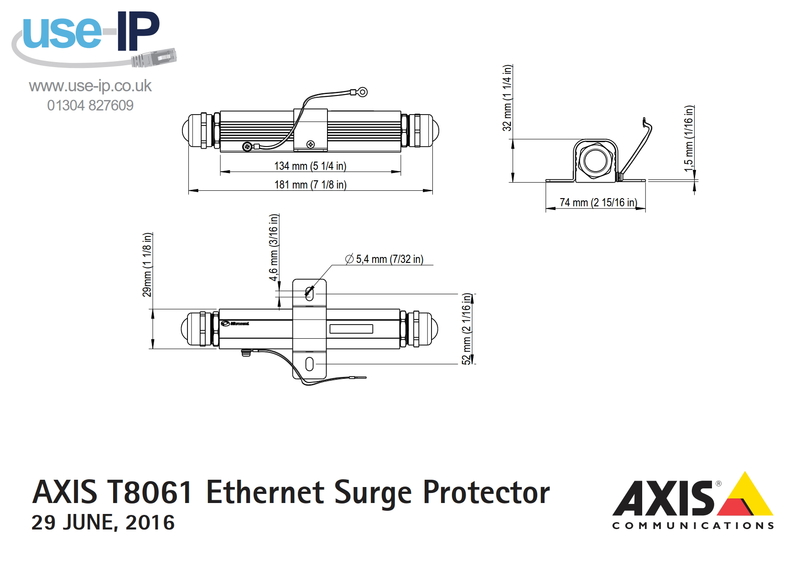 The Axis T8061 is an Ethernet surge protector that prevents network devices, such as IP cameras, switches & midspans, from being damaged by electrical surges such as lightning strikes. It can be easily installed with either its wall or pole mounts and with its weatherproof casing it can withstand water, dust & ingress of water. The device can either be installed before the cable enters the building to protect indoor devices, or immediately adjacent to outdoor network cameras.